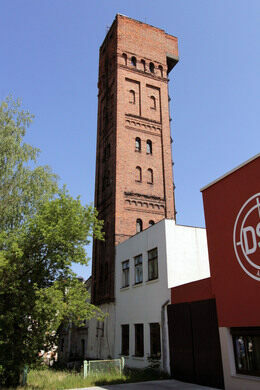 This old shot factory tower, located in the Latvian city of Daugavpils, is still used nowadays to cast shots the old-fashioned way. 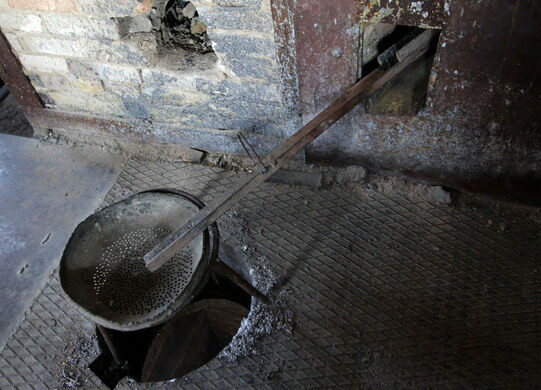 The old shot casting method is used only once or twice in a year, during which melted lead is poured through sieves of different sizes to create shots with the desired diameter. At other times the tower is opened for visitors. 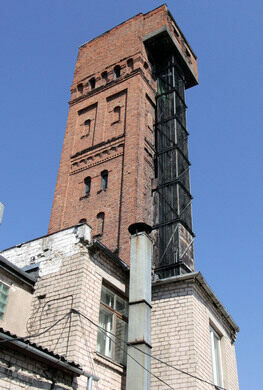 The tower was built on the highest and driest spot in Daugavpils in 1886. 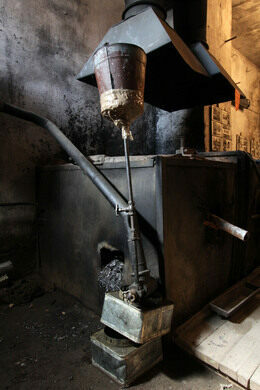 The original construction was made of wood and unfortunately was burned down. It was replaced by the current red brick tower in 1911. 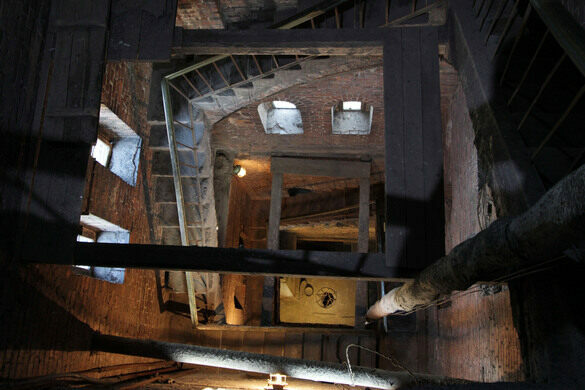 The tower itself is 28 meters high, which is not tall enough for forming bullets during the fall. 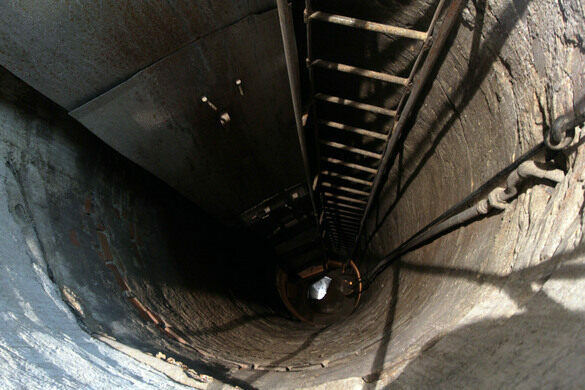 So a well 20 meters deep was made under the tower to make the fall longer. 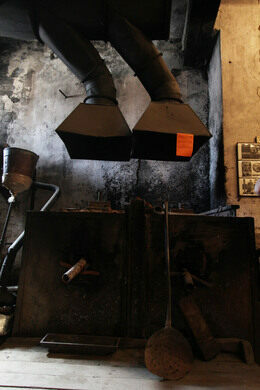 The factory has also other old instruments and machines used in sorting and packing shots. 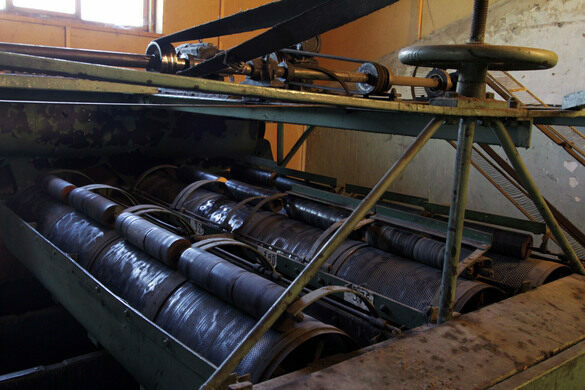 All are in working order, although most of the production today is made mechanically and the original tower and equipment are kept to preserve this historical place. See website for visiting times. This long unused shot tower on the Mississippi remains a point of pride for a small city in Iowa.